The story began when Yogi Bhajan, a master of Kundalini Yoga, came from India to the West at the end of the 1960s. In his yoga classes, he shared his spiritual knowledge with his students and served them an aromatic spice tea, which they affectionately named “Yogi Tea. 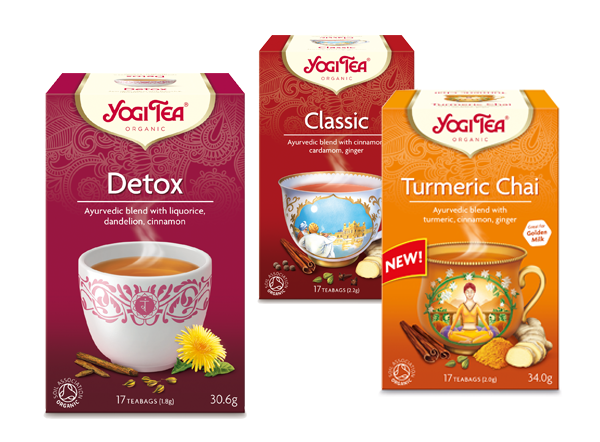 The unique Ayurvedic tea blend based on an original recipe by Yogi Bhajan with cinnamon, cardamom, ginger, cloves and black pepper is now known as YOGI TEA® Classic. It was first offered in Europe in the 1970s and officially sold under the brand name of YOGI TEA® starting in 1989. People from around the world now appreciate the special flavours of more than 80 selected certified organic herbs and spices that give the 44 varieties of YOGI TEA® their incomparable aroma.